Summer vacations are in full swing but that is no reason to ditch your free downloadable calendar. I remember as a kid marking my most memorable outings and events on a beautiful picturesque calendar page knowing that as the years go by there would be a day where I would want to remember a particular time frame, and I could look back in my scrapbook at my calendar page and the pictures from that time and more vividly remember the amazing memories my family and I had during that time. 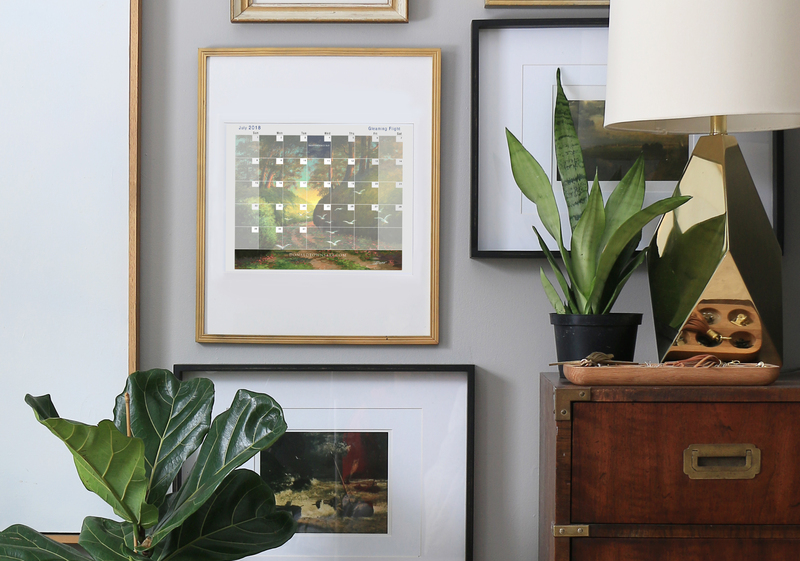 How ever you like to use your fine art calendar page, whether the enjoyment of a new piece of art every month motivates you, or a lifetime of memories, we would love to hear from you how you use calendar art! Let us know over on Facebook or Instagram! 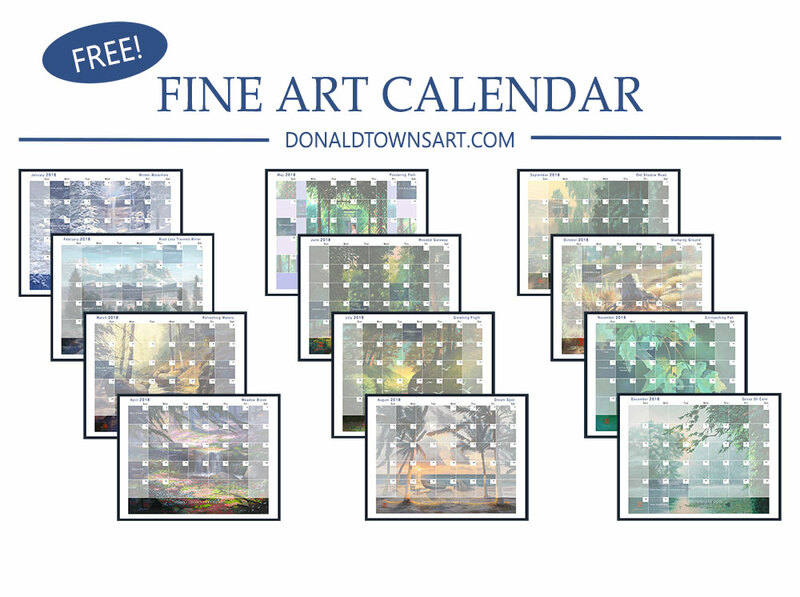 Ready for your free July calendar download? 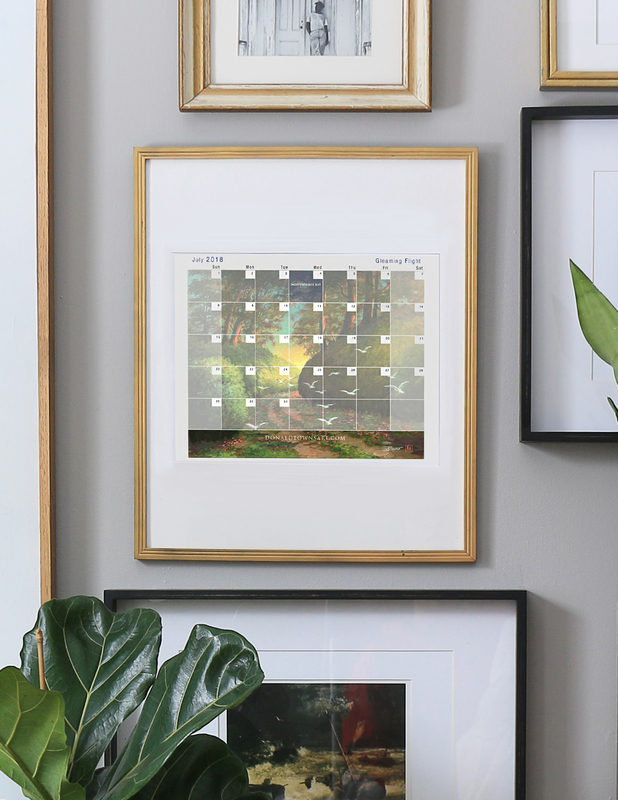 Did you know you can get the entire year’s calendar all at once? All you have to do is subscribe to our newsletter and you’ll receive the full calendar in your inbox! 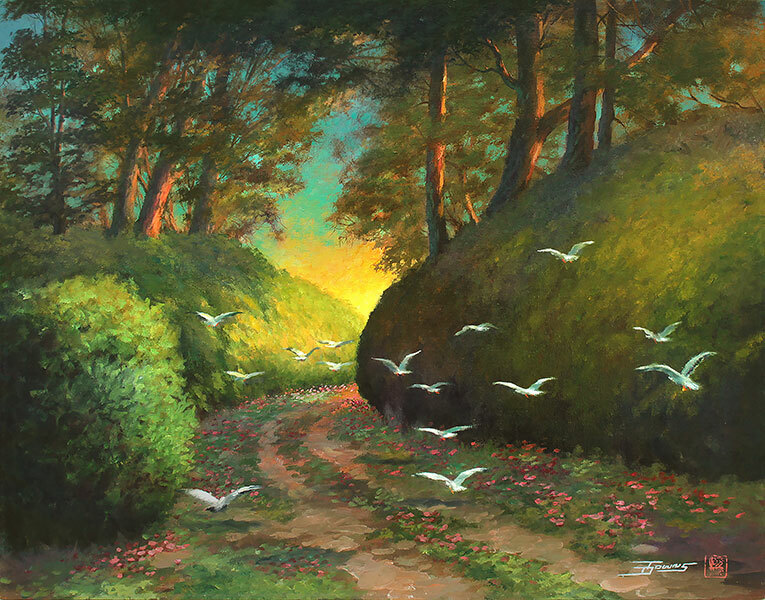 By the way, most of these prints are unique because while they aren’t currently available in-shop, this is the one way you can enjoy these exclusive art prints. This particular print however IS available in shop! So if you would love to enjoy this in a larger size and not in a calendar format, you can find this print here.